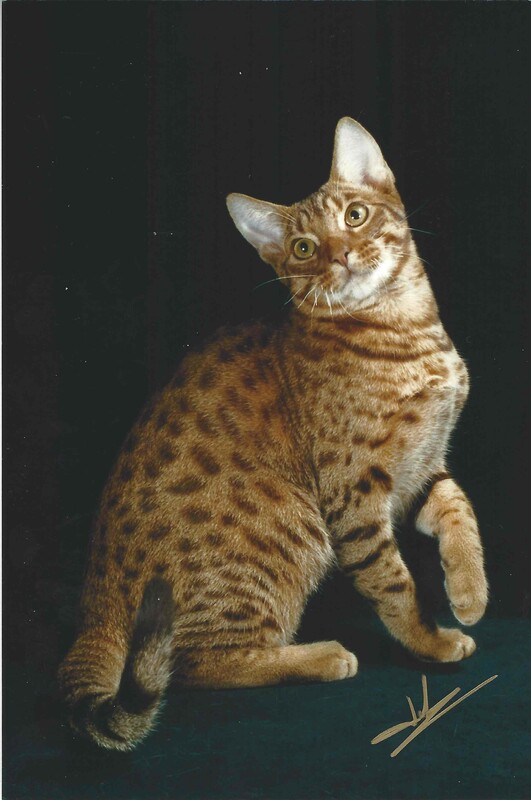 The DotDotDot Ocicat Cattery takes great pride in our family of Ocicats. 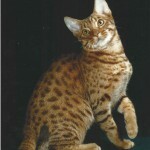 If you are interested in adopting an Ocicat, contact us. 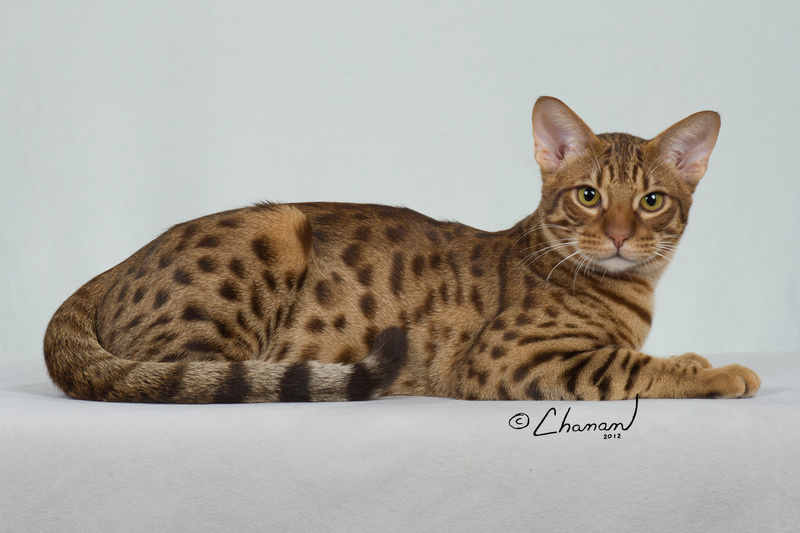 With an ancestry of Abyssinian, Siamese and American shorthair cats, the Ocicat displays an exotic beauty bred from domestic heritage. 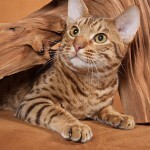 Ocicats may look the part of a jungle cat, with distinctive spots and carriage, but these loving pets feel right at home with your family. 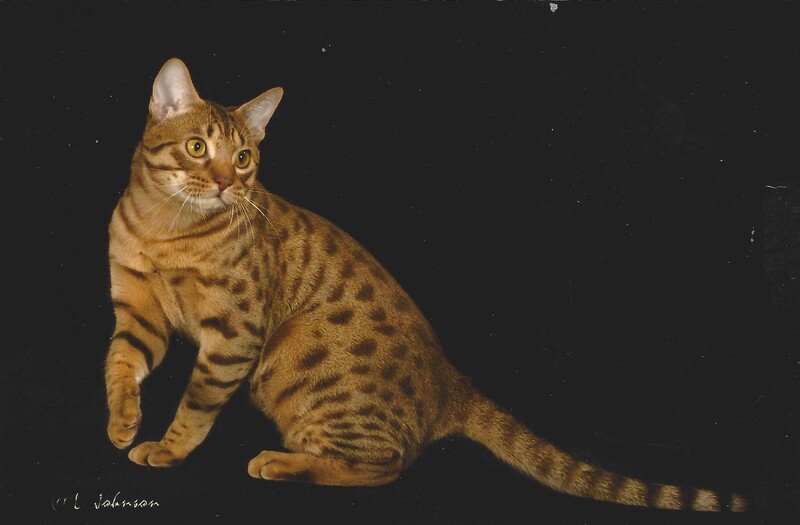 Dr. Roger & Nancy Brown have been actively breeding and showing Ocicats more than twenty years. 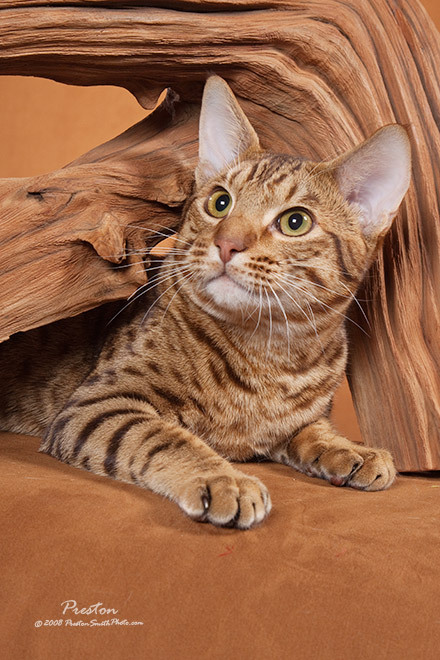 Retirement from their small animal hospital gave them the time they wanted to provide their Ocicats with a healthy, engaging environment for socialization, play, and bonding. 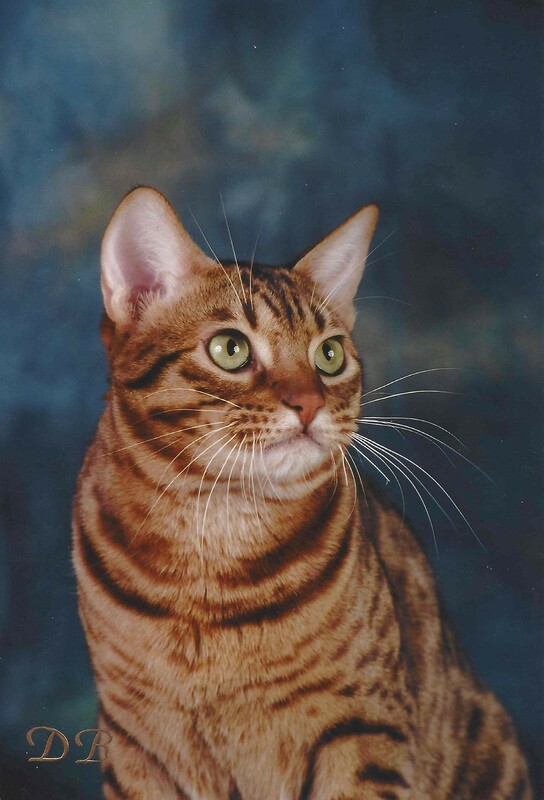 Dr. Roger Brown served ten years as Director at Large for The Cat Fanciers’ Association. 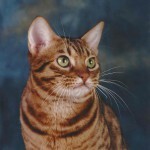 He retired from Director this year, but is continuing to serve as Scientific Advisor, and chairs the DNA Program for CFA. 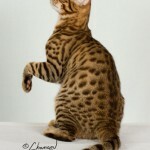 He is excited about the continued possibilities in this field. 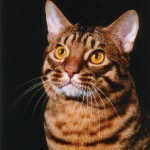 It will continue to provide breeders with the opportunity to breed healthier cats, and help owners maintain the health of their cat. 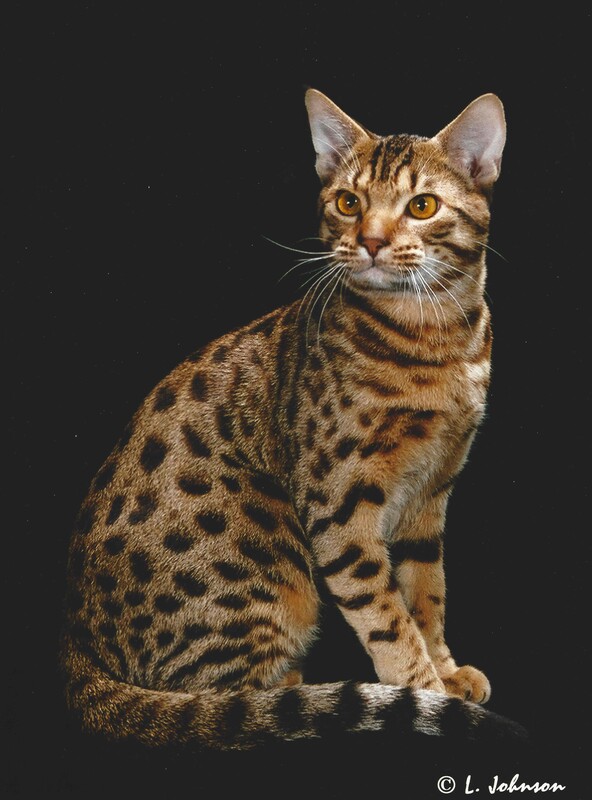 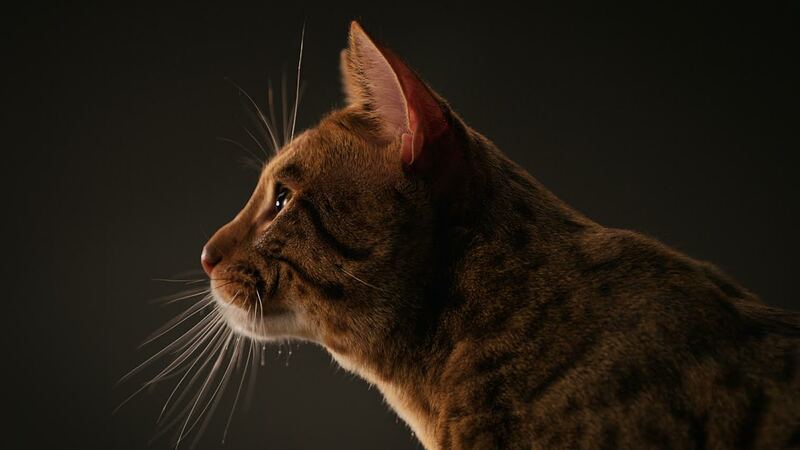 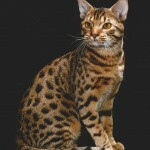 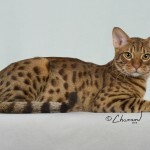 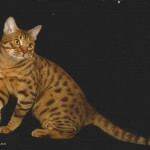 Learn about the benefits and beauty of the Ocicat breed. 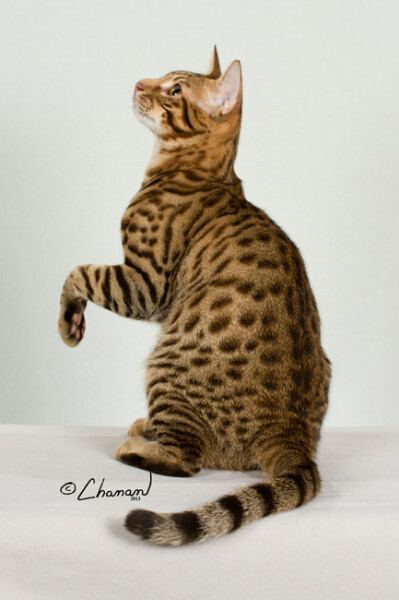 The Ocicat is bred for beauty to emulate the sleek, spotted coats and strong, well-muscled carriage of wild cats. 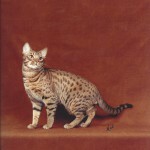 Ocicats are an ideal companion, displaying an adaptable, predictable disposition and agreeable personality. 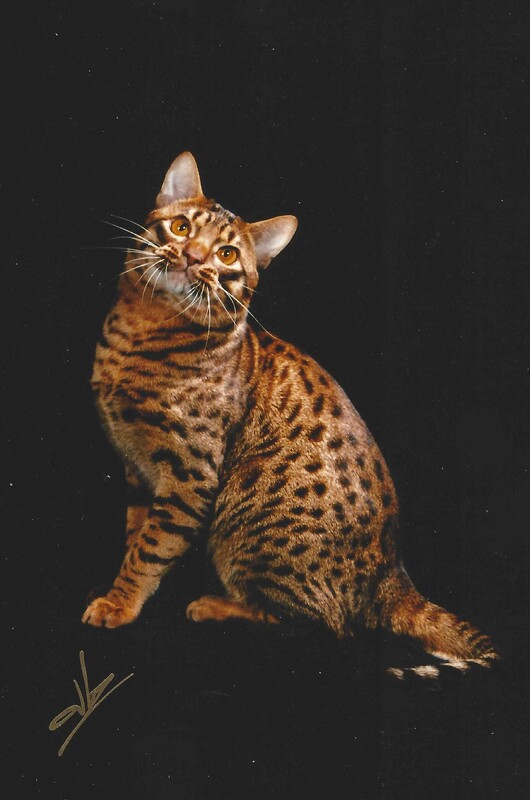 Thanks to their broad genetic background, Ocicats are not prone to any major health problems and display hybrid vigor and vitality. 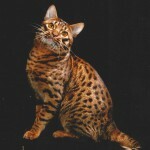 Ocicats enjoy the diet of a standard domestic cat and are easy to keep with no special care requirements. 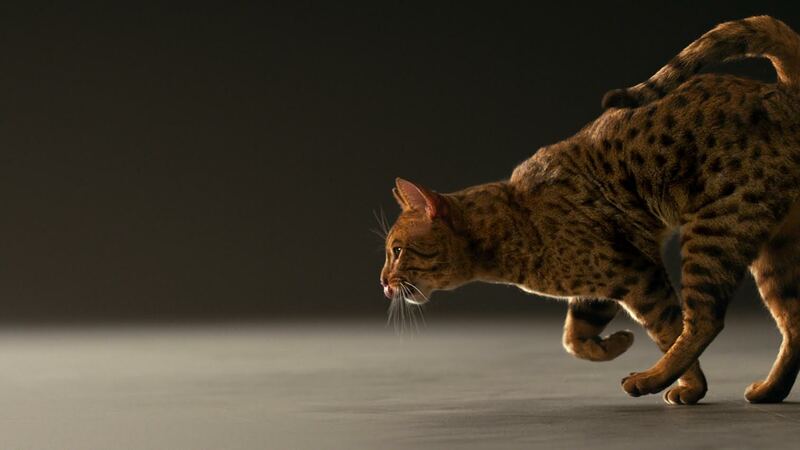 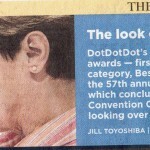 See the latest show results, promotional campaigns and press featuring Dot Dot Dot Ocicats. 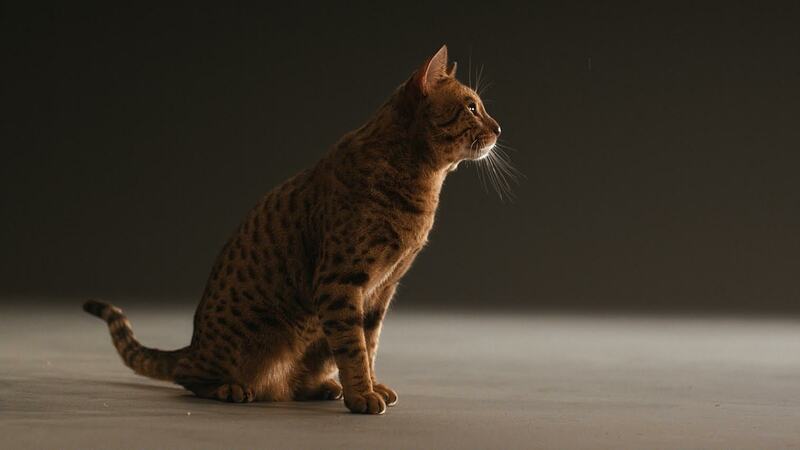 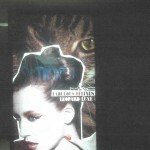 MAC Cosmetics released a feature ad promotion that involved DotDotDot Ocicats Ditto and Hope.